>> Healthy eating day 7 – What are you eating or what’s eating you? Healthy eating day 7 – What are you eating or what’s eating you? Over the past week we’ve heard from 5 different guest bloggers. Jacqueline Barleycorn from The Sweet Lemon shared a day in her life with us. Here it is. Claire Hunt from Breathing Spaces shared her top ten tips for healthy eating. Here it is. Sam Heywood-Cox told us how she finds group support helpful. It is here. Rachel Linstead shared a day in her life with lots of nice food pictures here. I don’t know about you, but I’ve really enjoyed hearing from a variety of people about their healthy eating style. What are you eating or what’s eating you? So you’ve got the books like Deliciously Ella, Medicinal Chef and Eat, Nourish, Glow. You’ve watched Joe Wicks and juiced with Jason Vale. Your phone is bursting with podcasts and you have a gym membership. But you still can’t commit to a consistent healthy plan. WHY NOT? It’s a bit of a mystery isn’t it? Eating shouldn’t be complex. We were designed to eat to fuel our bodies. But somehow somehow eating comes with a host of other factors which can affect how, what, how much and when we eat. Here are some common reasons that people’s eating is ‘out of control’ or meaning they are not eating a balanced diet. When you are stressed you do not think as clearly as when you are calm. When you don’t think clearly you are more likely to shove something in your mouth without thinking about it. You pay less attention to the needs of your body too as your mind is on other things. In addition, when you are stressed your body releases cortisol from the adrenal glands which increases appetite. You can read more about that in this Harvard paper here. Stress also tends to make you reach for sugary and fatty foods. It can easily become a habit for the body to connect these foods with stressfull situations. Lots of my Hypnotherapy clients who come to see me because they want to eat a healthier diet say they are lonely and use food as a ‘friend’. Food seems to fill lonely gaps for people and becomes a ‘friend’ in its own right. Watching a movie alone? Eat lots of ice creams and other sugary and fatty snacks. Bored? Plan what to buy and eat or go on an outing to get some ‘naughty food’. You are in it together’. You and your food ‘friends’. Life can be mundane and dull. Food can be an escape from the routine. Oh a Chinese, how exciting! You might go to the restaurant to have it or it is delivered. The smells excite you and you like the flavours. An exotic menu to tantalise you. But hold on… you scoff it down and then what? Life is still the same. The chores are still there and you still live in your house. And you might feel bad about eating something greasy or having spent more money than you wanted to on that meal. Time and time again, people come to see me for Hypnotherapy to improve their eating but it’s not about the eating. When we start working together and smooth other issues, the eating is almost a by product of those issues. Self-worth, confidence and motivation are really important elements of us and can easily be smoothed, repaired or increased with Hypnotherapy and NLP. Never underestimate emotional issues creeping into all areas of your life. So many times people know all the things they should be doing and once they unload issues, these things become much easier and life changes. Every time you eat ask yourself, why am I eating this? The answer might be that you are hungry. But the answer might be completely different. You might be surprised! You might be tired and eating sugar. You might be sad and eating for comfort. You might be bored and filling some time or you might be stressed and just desperately using food as a crutch. The good news is that all these reasons for not eating healthily and nourishing yourself and your body can be changed. At any time! The power is in your hands. You might make the decision yourself and operate from a place of willpower (which is a conscious mind decision) and this is successful for many. But many other people just need a bit of help getting in the zone, clearing the way for new habits and behaviours and getting on their way to a healthier life. I think you are the first person who has written about healthy eating / weight loss etc that has been positive about willpower. Most articles give willpower bad press stating the journey wl be hard and in all likelihood failure is a given. Thanks for this came at exactly the right time. After a stressful year last year I started to use hypnotherapy techniques lost a stone felt wonderful then slipped back into bad, bad, very bad habbits. I now feel lathargic, bloated and a tad cross with myself. 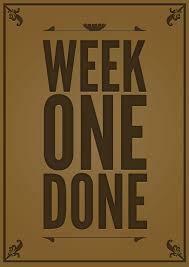 Today I decided enough was enough I’m running a10k in 8 weeks it will be a lot easier with my wobbly belly reduced. So eat less, move more make better choices is my mantra. Very proud to have been part of this. I think it’s great getting everyone to share their views, tips and experiences.. especially when we all have different jobs and backgrounds. I have done Parkrun since I wrote my post and have been out for another smaller run since. And I have signed up to Sober for October. I want to abstain for a month for so many reasons.. I just need to remember that when I start craving wine!